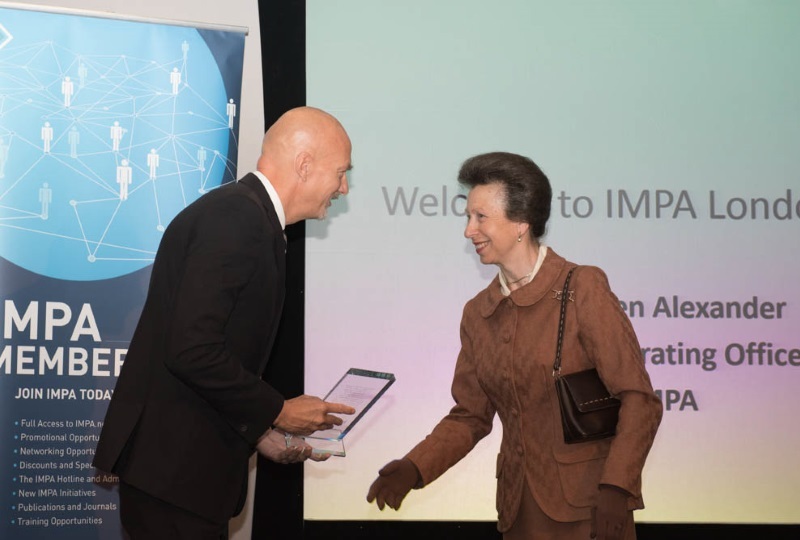 Top shipping companies receive awards for “outstanding effort in the field of responsible supply chain management” at the IMPA London annual event. Two top shipping companies were presented with awards for their RSCM efforts, as part of the IMPA ACT initiative, during this year’s IMPA London. The awards for demonstrating Outstanding Effort in the field of Responsible Supply Chain Management were presented to D/S NORDEN and J. Lauritzen by the Princess Royal on on the first day of the event’s purchasing and supply conference. The awards were presented to Ole Lykke, Head of Strategic Purchasing at D/S NORDEN and Kathrine Geisler Madsen, Manager of Corporate Communications & CSR at J. Lauritzen. The initiative also announced at the show that Incentra, the Norwegian shipping association made up of 40 members, would be joining the sustainable shipping initiative.